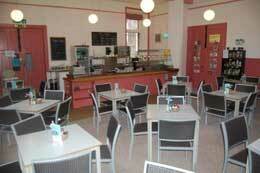 We are open from 10.00 am to 3.00 pm on Tuesdays, Wednesdays Thursdays, Fridays and Saturdays. We are closed on Sundays and Mondays. 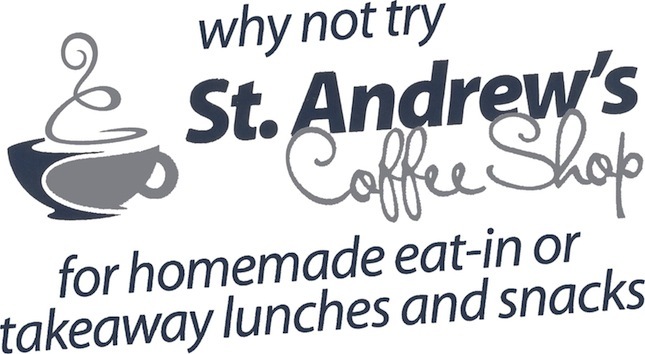 Situated in a quiet corner of St. Andrew's churchyard in the centre of Penrith is a delightful café, staffed by volunteers, offering homemade delicacies, freshly baked scones, soups, quiches, tray bakes, jacket potatoes, pies, pastries, delicious deserts and other hot meals at attractive prices. Fairtrade coffee, Traidcraft products, Christian and other second hand books, and a wide selection of greeting cards are on sale. Our church run café and catering company based inside Penrith Parish Centre has been operating for over 20 years and is staffed by volunteers and full-time paid cooks. New volunteers who are friendly and enjoy meeting people are welcome to join the team.